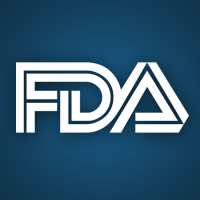 The US Food and Drug Administration (FDA) granted approval for the Brio Neurostimulation System– the second brain implant stimulation device to aid in the reduction of Parkinson’s disease symptoms and essential tremor. The Brio Neurostimulation System, manufactured by St. Jude Medical, St. Paul, MN, was found to be an effective alternative treatment when medication alone couldn’t successfully manage Parkinson’s disease symptoms. The actual system is comprised of a 1.9in x 2.1in x 0.4in battery-powered, rechargeable electrical pulse generator. It is implanted beneath the upper chest with wire leads that attach to electrodes at specific locations within the brain. To test the safety and efficacy of the system, researchers conducted 2 clinical studies – one with 136 Parkinson’s disease patients and the second with 127 patients with essential tremor. For the Parkinson’s disease patients, the system was used in conjunction with standard medication. However, the essential tremor patients were capable of managing their symptoms using only the system. Both groups exhibited tremendous improvement when the Brio Neurostimulation System was added tot heir treatment regimen. Serious adverse events reported were intracranial bleeding, potentially leading to stroke, paralysis, or death.